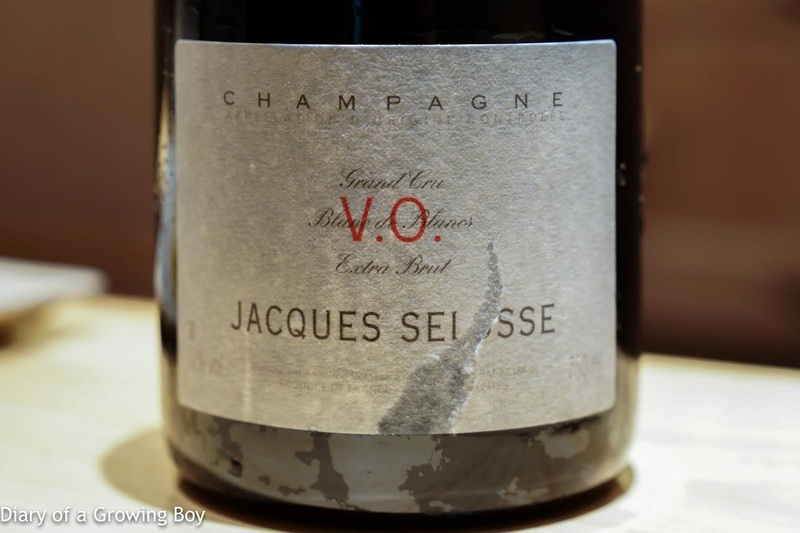 A Growing Boy's Wine Diary: Selosse V.O. Lunch at Sushi Saito in Tokyo. 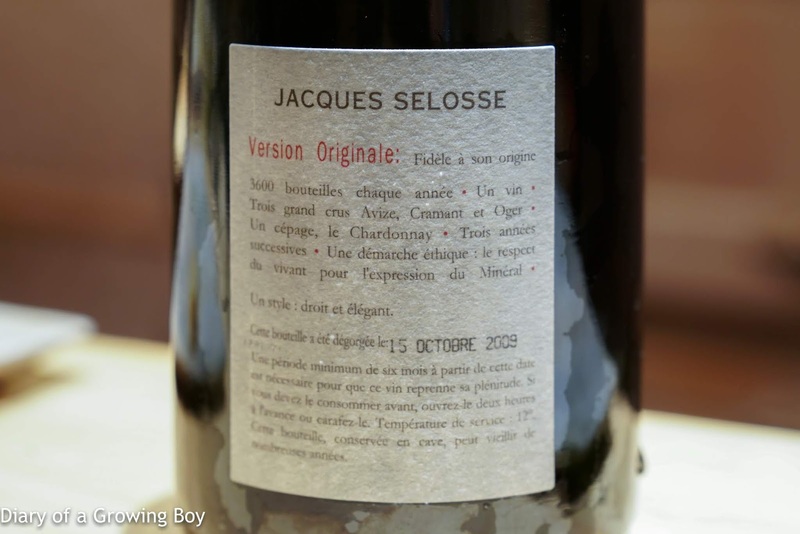 Jacques Selosse V.O., dégorgé le 15 Octobre 2009 - lemon, a bit of toast, with a hint of straw on the nose. Very mild and smooth on the palate, slightly bitter in the middle with a long finish. Much softer due to the fact that it was disgorged nearly 10 years ago. Very elegant.